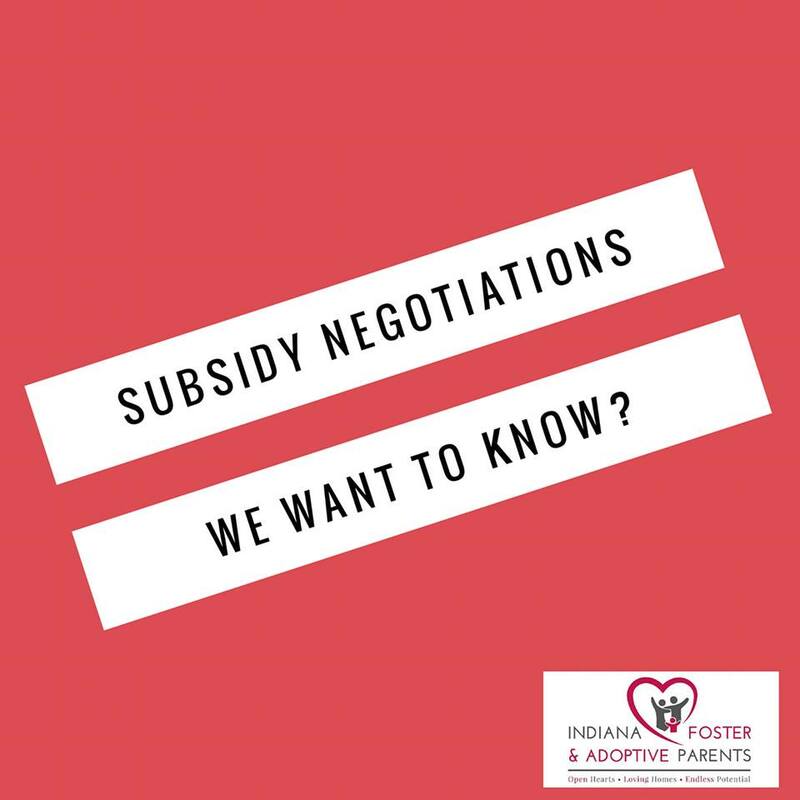 If you had Subsidy Negotiations that were less than desirable please comment or send email to kristi@fosterandadoptiveparents.org with the subject SUBSIDY NEGOTIATIONS. We are gathering information for legislators. Fosterandadoptiveparents.org — at IFAAP Headquarters.